The Demanovska valley is the main touristic center in the north part of Low Tatras´s main ridge. It is considered as one of the nicest valley in Low Tatras with lenght of 15 km. It begins among peaks Krupova Hola (1927 m), Dumbier (2043 m ), Chopok (2024 m) and Derese (2004 m ). 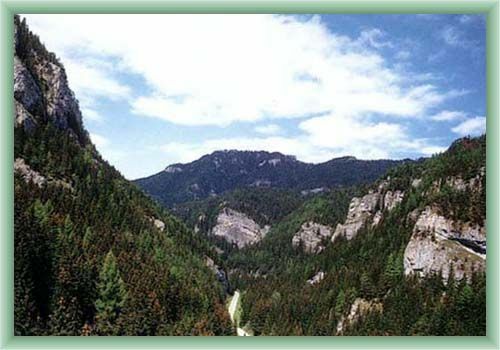 Demanovska valley is a national park with 837 ha territory in which a karst system with three wonderful caves can be found. The upper part of the area is remarkable for its shape of regular quadrangle. The valley has been settled since the Primeval Ages. Archeological findings in the cave „Okno“ are proofs about it. Among other local caves belongs famous Damenovske caves, especially the Cave of Freedom and the Ice cave. During the history the valley had been unsettled several times until ore have been mined here. It was at the turn of 18th and 19th century.